we are engaged in offering a wide range of honing sticks and mounted wheels. The honing is the finishing of internal dimensions of automobile cylinder heads and other components when an excellent and accurate finish is required. The honing is usually performed with square, rectangle or specially shaped sticks or blocks. Certain honing sticks, particularly when used for steel, are treated with sulphur to increase stick life and prevent loading. Leveraging on our considerable industry experience of 14 years, we have been empowered to provide our clients a comprehensive range of products. We are one of the well known trader and supplier of PTFE Products, PTFE Filled Products, Nylon (PolyAmide), Bakelite Fabric Sheets, Asbestos Packing Materials, Non Asbestos Packing Materials, Non STD Product, STD Product, Hand Tools, and Measuring Tapes. Other product we offer, include Power Tools, Abrasives Product, Teflon Tapes & Bellows, Poly Urethehe, Neoprene Rubber Sheet, PVC Flexible Sheets, Gasket Sheets and Rubber/Silicon Sheets. The consistent support of our rich vendor base has enabled us to put forth product of the leading brands of the market. Prestigious vendors like Freemans Measuring and Grinwell Norton have been supplying us with high grade products for over a year now. 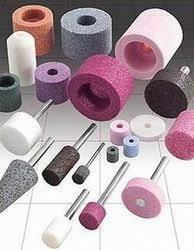 We are also engaged in importing abrasive products from Taiwan and Korea. Commendable attributes like easy installation, corrosion- resistance, chemical resistance, low coefficient of friction, durability and low- maintenance have widened the application area of these products. We are thriving in the industry with an objective to achieve perfection and not just raising sales. Carrying out our trading business on basis of honesty and integrity has helped us in retaining our wide client base. Some of our honorable patrons whom we have been supplying our product range include Tripti Gases Pvt Ltd., larsen & toubro ltd., A.B.G. Shipyard Pvt Ltd., Lubrizoil , Leebo metals pvt.ltd. , mansons international pvt.ltd. and Rinku Industries.